Dog walkers have been warned that ‘four dogs a week’ fall 30ft of a low wall. 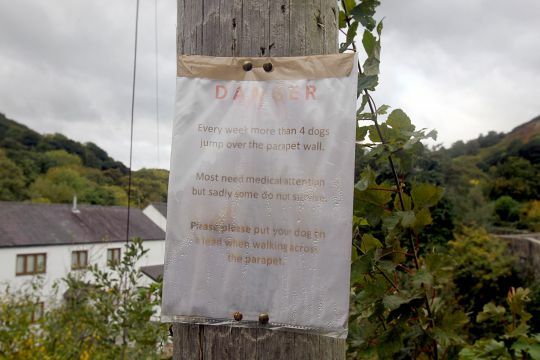 A homemade sign urges walkers to keep their dogs on a lead when passing the parapet. 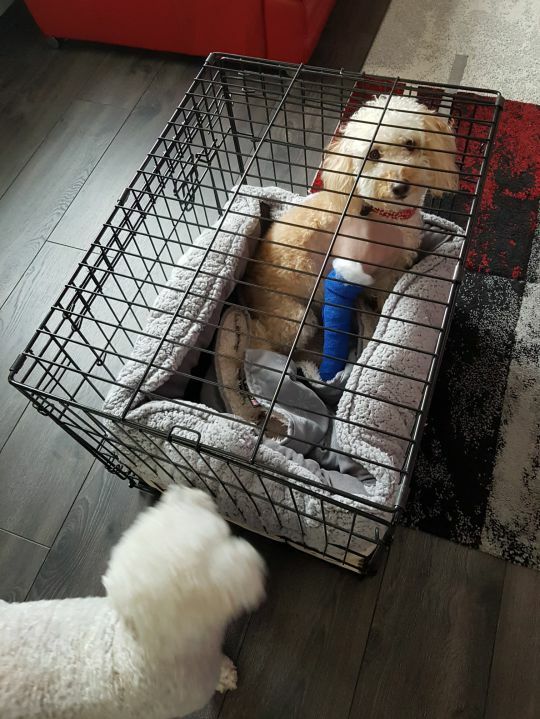 Mum Kelly Davidson from Wirral was landed with a £7,000 vet bill after her Jackapoo, Marley, fell and broke his leg in three places. Now the 42-year-old is campaigning for more signs to give owners enough warning of the danger, after residents told her it happens all the time. She said by the time you see the existing signage near the Llangollen Canal in north Wales from the Canal & River Trust, it’s already too late. 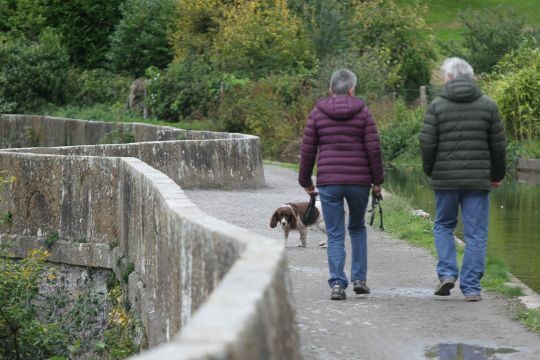 The mum-of-two from Irby said: ‘We are a very active family and were looking for nice places to walk our two dogs and came across a lovely six-mile route over the Llangollen Canal and viaduct. ‘When you Google the area, Llangollen Canal is recommended frequently as a place great for walking dogs. ‘I printed off the map which showed all the places dogs were allowed on and off the lead and we headed there for the day. ‘As we were walking, Marley had gone ahead of us, as dogs do, and jumped up onto the 2ft wall. ‘The next thing, he disappeared over the side and fell 30ft into someone’s garden and landed on a garden table causing the bones in his leg to poke out through his skin. 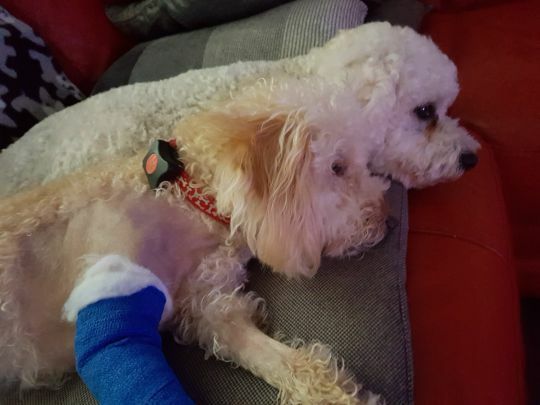 ‘It was horrendous.’ Marley was rushed to an emergency vet and had to have an operation. humans are strange – doesnt matter what advice given, what warning notices put up or media attention given – humans read it and think it will never happen to them – its the same thought process when they leave dogs outside shops ……….. it wont happen to them………. The above comment is very True.